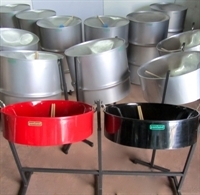 The Starter Steelband Package is ideal for starting a steelband at the most fundamental level. A manageable set of instruments, which allows exposure and arrangements covered by the four main voices of Soprano, Alto, Tenor and Bass. Following this introduction, the various complementary voices can be added as needed to expand the steelband. 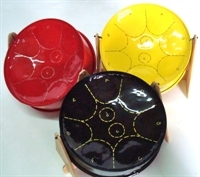 PACKAGE PRICE BASED ON ALL INSTRUMENTS IN STANDARD LEVEL POWDERCOATED FINISH IN COLOUR OF CHOICE.